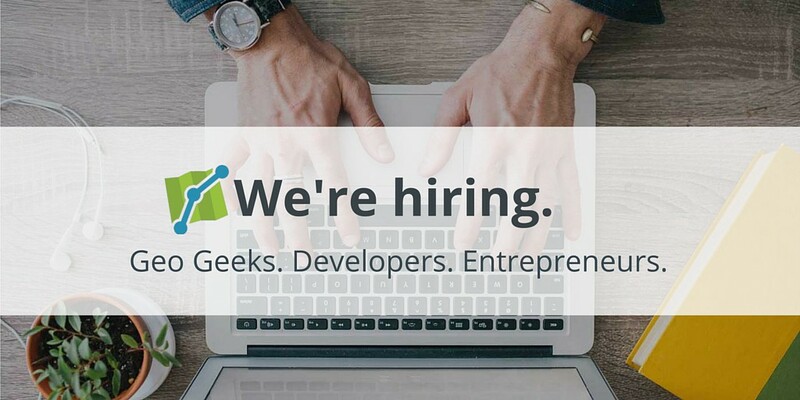 As we prepare to launch and get out of Beta, we’re very excited to say that we’re hiring at Maptiks! It’s been months since we built the MVP of Maptiks (initially called Sliptics), and since then we’ve been able to signup hundreds of users, get valuable product feedback, and build something that our users are loving. We’re still working on funding, but we’ve committed some cash to the company to help Maptiks go to the next level and it’s time to build something great, and so useful for our customers that whenever they build a map, they plugin Maptiks to ensure their app, or web map gets built faster, with a better user experience and with insightful consumer insights. Build an awesome team. We have a bunch of really smart developers, a CEO with startup experience who has been in the geospatial industry for over 10 years. We all code. Yep, even me, the growth guy commits code to github (although our developers probably re-write the whole thing). Get some interest from potential investors. If you’re interested in working at Maptiks check out our careers page. Integrate with 3rd party APIs such as Slack, PagerDuty, Segment, Salesforce and others. Execute a customer acquisition plan and help onboard new enterprise clients. Take our designs and user experience to the next level with high quality custom designs and creating a better onboarding experience. Startup enthusiast, realestate guy and wannabe designer.